Welcome to NOVA! Every important journey involves careful preparation. We offer new students an introduction to our programs and services through our orientation programs. New2NOVA is an online, interactive orientation program available to all incoming students. The program will teach you everything you need to know to get started at NOVA including information about academic programs, policies, procedures, student services and other valuable resources available to you as a NOVA student. All students are strongly encouraged to complete New2NOVA prior to enrolling in courses at NOVA. Pathway to the Baccalaureate students must attend orientation provided by Pathway to the Baccalaureate staff. 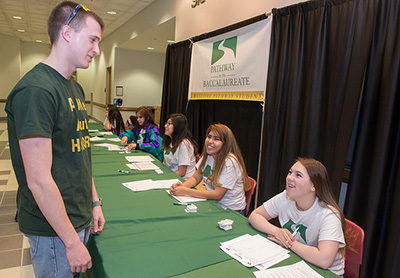 Please click here to register for Pathway to the Baccalaureate New Student Orientation. You are invited to attend a New Student Orientation for Adult Learners to best help you have a successful transition and integration into college. Please click here to register. NOVA makes every effort to accommodate individuals with disabilities. If you have accommodation needs, please contact disabilityservices@nvcc.edu within 14 working days prior to attending a scheduled event. ASL interpreter requests can be arranged by emailing interpreters@nvcc.edu at least four weeks prior to attending a scheduled event.